Home gardening can provide a lot of good food for families and communities. It’s also some work, but I love it. 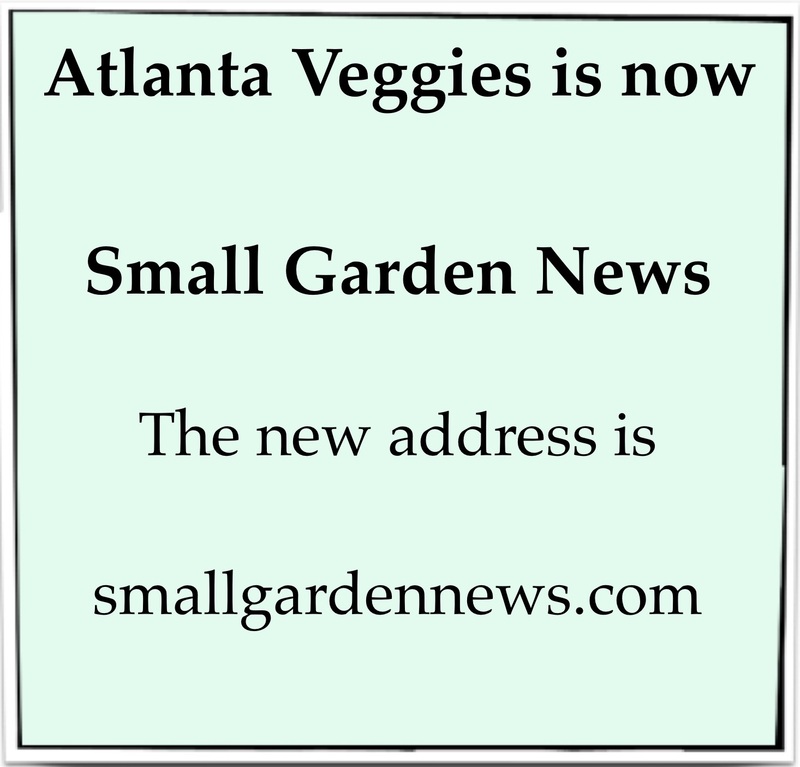 This blog is about the garden and yard where I “grow my own,” NW of Atlanta, Georgia. Plenty of garden-focused blogs post lists of gifts for gardeners for the holiday season. I haven't put up such a list before, partly because I am not a big "shopper," but this year I am giving it a try. This year's list has a theme, though, because people who know that, in addition to growing good food, I also do some foraging (an extension of gardening...) ask about mushrooms pretty often. If you or someone you know has an interest in, but zero knowledge of, hunting for wild mushrooms or growing mushrooms at home, this shopping guide is for you. Having excellent teachers and guides is very important, because eating the wrong mushroom can be fatal. Knowing the potential danger does not deter all people, which explains why the very first items on the gift list are about education. 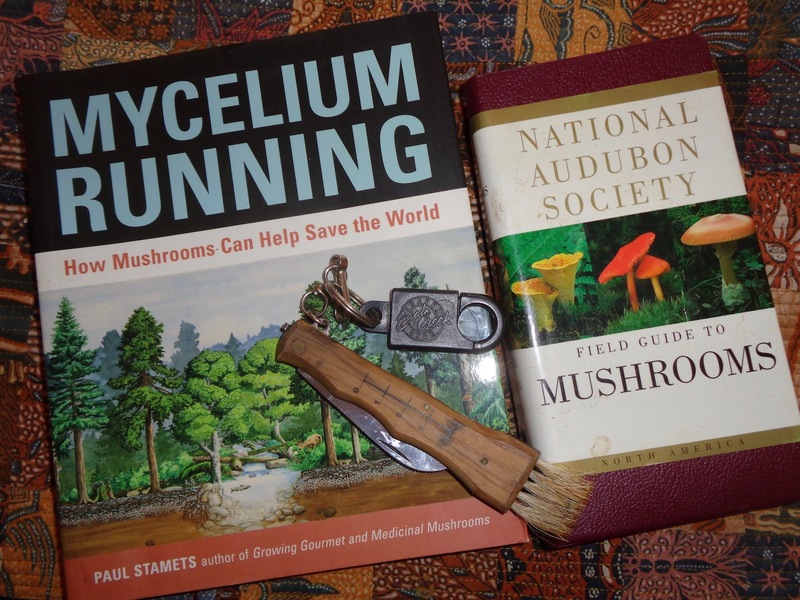 A year's membership in a local mushroom club is a great gift, along with the promise to go along on guided "mushroom walks" with the club. There are knowledgeable people in the clubs, and on the guided walks, to get anyone's education off to a good start. In the Atlanta area, that club will be the Mushroom Club of Georgia. This group offers monthly meetings, classes, workshops, and guided walks. The Morel walk in March is usually a members-only event, which is a definite perk. If you are not in the metro-Atlanta area, look online for your nearest mushroom club. For mushroom-ID help on your mushroom walks/hunts, a basic guide like the National Audubon Society Field Guide to North American Mushrooms is also useful. This is the book that many local foragers seem to always keep handy for reference. The pictures are very good, and descriptions include information about edibility for each kind of mushroom in the book. Using a mushroom-growing kit at home to become familiar with the growth habits of mushrooms is another great way to help get ready for foraging season. A kit to grow oyster mushrooms like this one (linked) is especially good because you are likely to see oyster mushrooms "in the wild". Careful observation as these grow at home could help flatten the mushroom-identification learning curve by a little bit. I have grown portobello mushrooms in a purchased kit and oyster mushrooms as part of a mushroom club workshop. Both brought good food into my kitchen, and both were easy. Anyone who already has tried a couple of kits and is looking for a different challenge might want a copy of the book Mycelium Running. It contains a long section about growing many kinds of mushrooms in many ways. This book also includes information on the benefits of adding the old mushroom-growing substrate to gardens, which is a great "crossover" to my more major interest in growing good food. A last item on the shopping list for a budding mushroomer is a folding mushroom foraging knife. I know that this may seem like an unnecessary thing, and it is, but the curved blade really does help in harvesting mushrooms, and the little brush at the end is great for cleaning dirt and leafy debris from wild-harvested mushrooms. Putting pre-cleaned mushrooms into your basket or bag makes the kitchen-prep work at home much easier. If you are hoping for a different kind of holiday shopping guide for gardeners, I have one posted at my other site, Small Garden News. See Marianne's list at The Small Town Gardener. See Kathy's Gift Ideas for Garden Cats at her Cats in Gardens blog. Moving to Small Garden News! Learn more about organic practices for home gardens. I've been gardening in this yard in NW Georgia since 1991. Before moving here, I gardened on the Eastern Shore of Virginia, where growing food was MUCH easier. I've learned a lot, and I keep learning more every season.